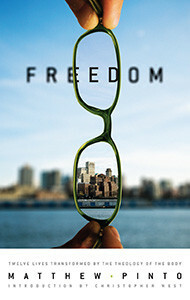 In Freedom, you will meet people who, through the Theology of the Body, have discovered the meaning of their very existence. They have all realized that the message of the Theology of the Body is the key to understanding their purpose in this life. They have found what we’re all looking for – the authentic path to happiness and freedom. This long-awaited sequel to the best-selling Did Adam & Eve Have Belly Buttons? uses the same easy-to-read, question-and-answer format that has proven successful in capturing the hearts and minds of Catholic teens. 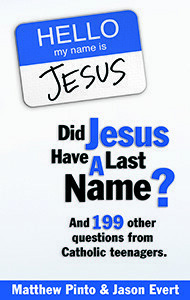 With 200 actual questions from teens, Did Jesus Have a Last Name? offers clear and concise answers to some of the most burning questions about the Catholic Faith. Though written for teens, this book is perfect for people of all ages who want to learn more about the Catholic Faith. 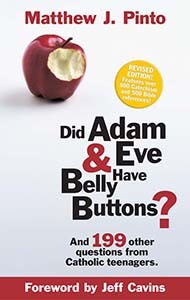 With more than 110,000 copies sold, Did Adam & Eve Have Belly Buttons? 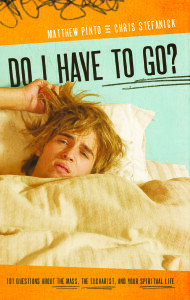 is the number one book for Catholic teens. It offers today’s young Catholic 200 clear and insightful answers to questions about the Catholic faith. This book captures the attention of teens by directly addressing their concerns, misconceptions, and challenges. 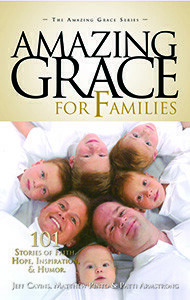 The revised edition adds over 500 Bible and 800 Catechism references, and has the Imprimatur. 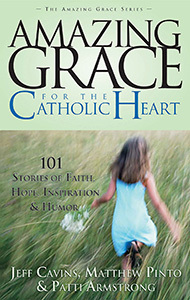 Amazing Grace for the Catholic Heart will help you celebrate your Catholic faith like no other book you have ever read. It will take your heart and soul on a joyous spiritual retreat from the challenges and struggles of everyday life. 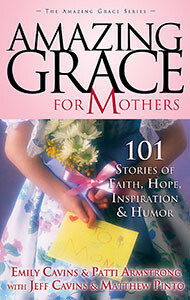 This collection of 101 stories of faith, inspiration, hope and humor attest to the power and beauty of God’s amazing grace. 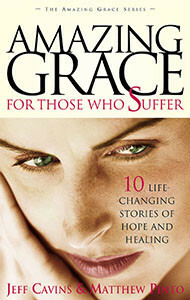 These ten stories will make you laugh, cry, and show you the power of God’s healing grace. They address the age-old question of why a good God would allow people to suffer and how good can come out of evil. Here you will read about ordinary people who endured great hardship and discovered hope and healing through God’s amazing grace. 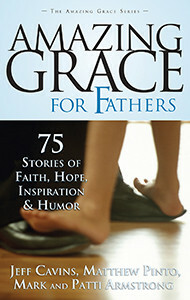 The fifth book in the best-selling Amazing Grace Series, Amazing Grace for Fathers celebrates the joys and struggles, the strength and love of fatherhood, and demonstrates how God’s amazing grace can work in the lives of “ordinary” fathers and their families. It makes the perfect gift for any man who has been blessed by God with this profound vocation. Amazing Grace for Mothers will lift your heart and send your spirit soaring. You will laugh, you will cry, but most of all you will refresh your mothering through stories of love, inspiration, miracles, and God’s amazing grace. This collection of 101 stories will bring you the warmth and support of other women, all dedicated to the same glorious role—motherhood. 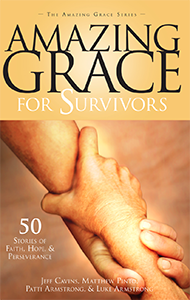 In Amazing Grace for Survivors, you will will witness God’s power as He forms and strengthens ordinary people who faced extraordinary circumstances. You will experience the pain in these stories and share the glory of their triumph. In the end, their grace becomes yours, for we are one body in Christ. 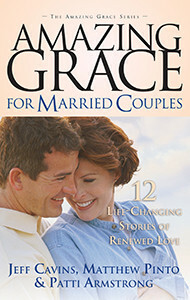 Amazing Grace for Married Couples will deepen your commitment to marriage like no other book. This is a collection of 12 inspirational stories about marriages that were on the brink of disaster, only to be redeemed by God’s amazing grace.